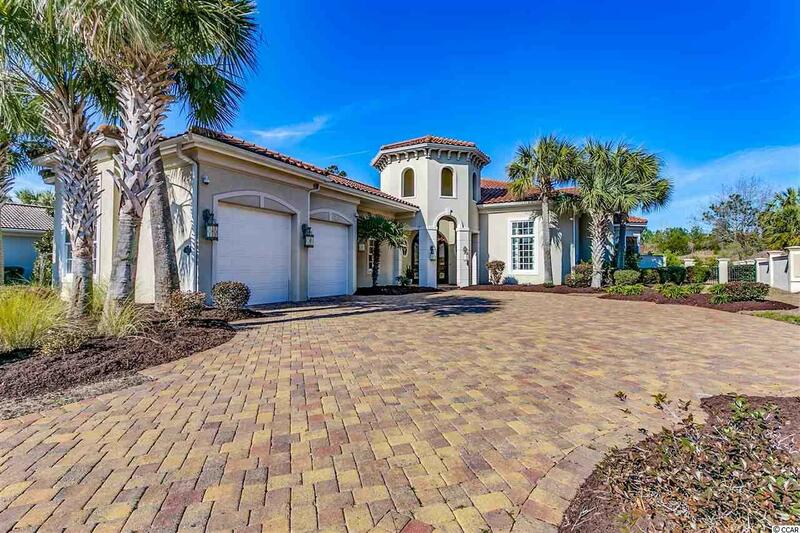 A wonderful opportunity to own this one of a kind Mediterranean masterpiece in the highly exclusive gated community of Members Club at the Grande Dunes. 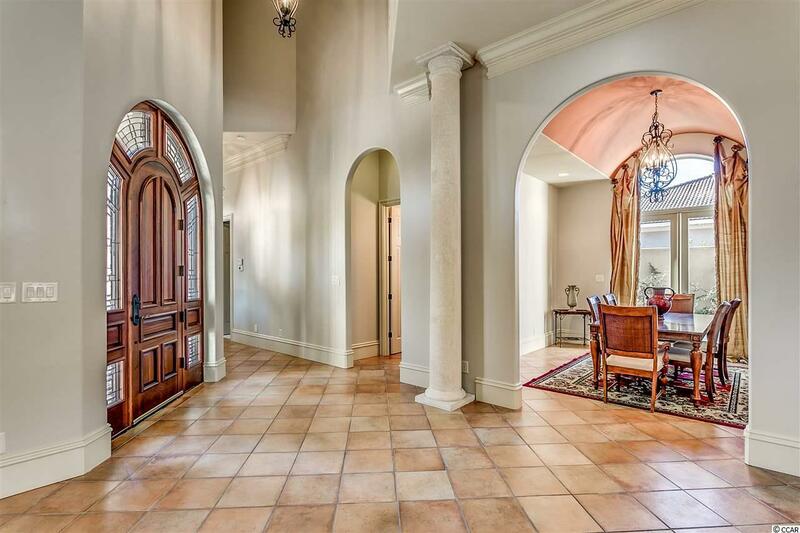 This custom designed home was completed in 2007 and sits on the 2nd hole of the Members Club. 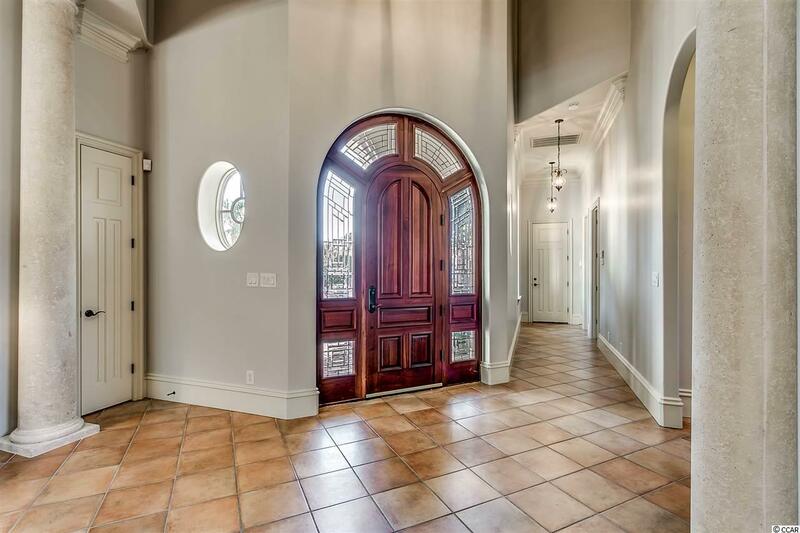 This magnificent open floor plan features 3 beds 3.5 baths with media room which makes it a wonderful home for entertaining. The gourmet kitchen features custom cabinets,granite counters, tile backsplash, work-island and top of the line Viking stainless steel appliances. 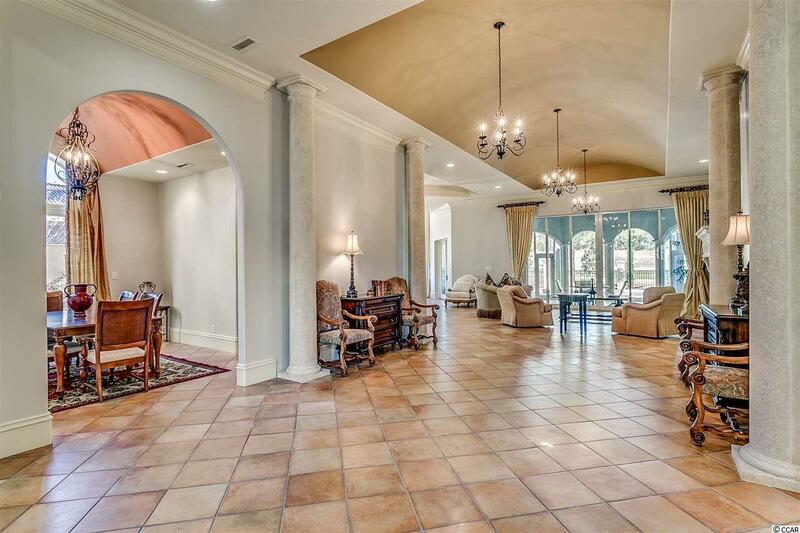 The great room features soaring barreled ceilings, architectural stone columns with a fireplace. The enormous master suite is fit for a king and queen. The bedroom features lighted trey ceilings, enormous walk in closets with custom shelving and direct access to the outdoor living area. The en-suite bath features dual vanity granite sinks with oversize whirlpool tub and spacious glass rain shower. Tile flows throughout the common areas and baths, then carpeting in the bedrooms. The backyard features over 600 sq ft of outdoor living space and has a wonderful large pool and spa for a great day of entertaining. Other features are oversized two car garage, ICF and steel stud construction which typically qualifies for lower insurance rates and saves on utility fees. This property is located in South Carolinas premier coastal community in Myrtle Beach; Grande Dunes. Stretching from the Ocean to the Carolina Bays Preserve, this 2200 acre development is amenity-rich and filled with lifestyle opportunities unrivaled in the market. Owners at Grande Dunes enjoy a 25,000 square foot Ocean Club that boasts exquisite dining, oceanfront pools with food & beverage service, along with meeting rooms and fun activities. Additionally, the community has two 18-hole golf courses, including the areas only truly private course designed by Nick Price, along with several on-site restaurants, deep water marina, Har-tru tennis facility and miles or biking/walking trails! Please visit our sales gallery located in Grande Dunes Marketplace next to Lowes Foods to learn more about this amazing community you can call home.